You recently received a ticket and after the initial shock, decided to take action to prevent it from happening ever again. So, you purchased a radar detector. You researched the products thoroughly, shopped around, and after weighing all the features and options, you made your choice, and it was a good one. You know this, because everyone who already had one raved about it relentlessly. This was THE radar detector. The ONE. The open road was finally yours to conquer! Then it arrived. Excitedly, you set up your new radar detector, turned it on and took off for a test drive. And you got another ticket. Angrily, you yanked it off the dashboard, put it back in the box, and called the company so you could send it back, because it didn't work. It didn't prevent the ticket! Why? One of the most common misconconceptions about radar and laser detectors is that the mere presence of one in a vehicle guarantees you will get the advertised performance expected of it out of the box, automatically. However, there's more to it than that. A radar detector isn't just a device to detect radar. It's a tool, an instrument designed to perform a specialized function. As with any tool, it requires an operator to understand and to use it. A fine brush won't paint a masterpiece. A high-end guitar cannot play itself. (I was going to say piano, but a player piano actually can.) Like any precision tool or instrument, one has to know how to operate it properly. Just like the vehicle you drive, a radar detector must be learned, understood and properly used to get the most out of it. If you pass a patrol car or checkpoint of some sort and your detector doesn't go off, it could be due to a number of reasons. Here are some common questions to consider. Is the detector powered on? Is the detector properly installed or aimed to pick up the threat? Is it configured to detect the radar or laser band(s) used in your area? Is the detector configured to filter out or ignore those frequencies or that band? Is there anything in the way of the detector's sensors or antenna to deflect or block the incoming threat? Is the detector set to mute any audible or visual alerts? Is there even a radar gun in use? 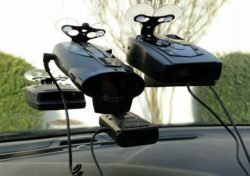 As you can see, there is more to using a radar detector than simply slapping it on the windshield or attaching it to the dash. Before blaming the detector, check your operation. Remember, the key to getting the most out of your radar detector starts with an understanding of how it works and learning how to work it. A radar detector is designed to detect and alert the driver to a specific range of radio waves or frequencies used for Radio Detection and Ranging, or RADAR. If the detector is also designed to detect laser, it should detect frequencies in the infrared spectrum of pulsed laser light used for Light Detection and Ranging, or LIDAR, as well. Radar and Lidar are both line-of-sight, which means that they must be within the range and view of the detection device in order for the device to detect them. In short, a radar detector must be properly placed or installed in the vehicle to accurately detect radar and laser threats. A radar detector detects radar, not cops. Police officers don't emit radar. Radar guns do. Unless the LEO (Law Enforcement Officer) has a radar gun hand, it is turned on and it is aimed down the road in your general direction, your radar detector is not going to detect it. Even if the radar gun is on and aimed directly at your vehicle, it will only detect the presence of the radar gun. It certainly won't detect the cop holding it. Also, be aware that there are other methods of traffic enforcement that don't utilize radar technology, such as VASCAR. If one or more of those methods are being used in the area through which you are traveling, your radar detector won't detect those, either. There are specific radar bands and frequencies used for speed detection and enforcement. X band is an older band, and not used much by law enforcement in most areas. However, is still used occasionally in some rural locations, so it should not be completely ignored. K band is actively used by law enforcement, but is also often used by other radar emitting devices as well, such as vehicle assist systems and automatic door openers. This opens the door (pun intended) to false alerts, so some filtering of this band is needed. Ka band is popular with law enforcement today and is commonly used to detect speeders. If your detector is not properly set up to detect Ka, you will probably get a ticket if an officer tags you on that band. Ku band is used in Europe and is not used in the US. Unless you live in the EU, don't worry about Ku band. Radar and Laser are two different methods used for speed enforcement, and each requires a different method of defense. Knowing the difference between the two can help you more effectively manage the operation of your detector to defend yourself against a speeding ticket. Radar signals are very wide, and cover a broad area. Radar is somewhat slow compared to Lidar (laser) and is the most common technology used by police for speed enforcement. It is also used for many other devices on or around roadways, including speed cameras, traffic monitoring systems and automatic door openers, to name a few. In addition, radar is used in vehicles for collision avoidance and driver assist systems. Because of this, the potential for false alerts has increased dramatically in recent years. Laser signals are very narrow, with a wavelength of about 900 nanometers (nm). They also travel at the speed of light, so they are extremely fast, allowing an officer to clock a driver in less than a second. This is a real danger to the driver, because it does not allow enough time to react to a laser alert. By the time you get the alert, the officer already tagged your speed. For this reason, radar detectors that also detect laser are often referred to as ticket notifiers. While not as commonly used by law enforcement as radar, its use is increasing. The threat from laser is real, and growing. If laser is used in your area of travel, it is advisable to include additional laser defense products in your countermeasure system, such as a laser jammer or Laser Veil. Some radar detectors have higher sensitivity than others, and can detect radar waves at greater distances. This is known as range. Choosing a detector with greater range can be a definite asset on the road. But sensitivity isn't the only factor in determining range, or performance. It also depends on where you mount your detector. The general rule of thumb is to mount it higher for radar detection only and lower for laser. The optimal position is to mount it centered in the vehicle, low to the dash, and close to the windshield, preferably directly to the windshield itself if laws allow. This allows the detector to have a wider field of view to detect both radar and laser threats from the front of the vehicle, where the majority of threats originate. Great range alone won't do the job. Your detector also needs to determine the difference between a radar signal and a radar threat. As mentioned earlier, there are numerous sources of radar on the road and detecting or ignoring the wrong ones can confuse both you and your detector. It could also get you into trouble quick. This is why your detector should be configured and optimized to discern a false alert from a real one. There are many new technologies that utilize radar on the road. They need to be identified, some as real threats, and others to be filtered out. Technologies such as MultaRadar (MRCD and MRCT) are used with traffic and red light cameras and need to be identified. Radar used for collision avoidance systems and traffic assist on newer vehicles need to be filtered out. Many of these systems are fairly new, so older radar detectors do not have the ability to recognize them for what they are. If you have an basic detector or one that is very old, there is a good chance it will either alert you to everything, or not alert you at all. Either way, it won't do the job. Newer detectors, such as the Radenso Pro M or the Uniden R3, are designed with advanced filtering for many of these systems built-in, allowing you to adjust and optimize your detection system to filter out the noise and detect the real threats for maximum protection. The time to be confident is when driving in normal traffic, with vehicles all around you. This is an optimal scenario for a radar detector because it would likely go off when a LEO tags a vehicle in front of you, behind you, or in the next lane. That warning should provide ample time to check your speed and avoid a ticket yourself, before the radar gun is aimed at you. The time to be most cautious is when traffic is light, there aren't cars ahead of you, or you are traveling on a lonely road. With few or no other vehicles around, your vehicle is most likely to be tagged by a LEO. While not completely ineffective, in such cases a radar detector is not going to be much help on its own, especially if a police officer is using an instant-on radar gun or laser gun to tag you. In this scenario, you need to stay alert, watch your speed and ease off the pedal when approaching curves, hills or potential roadside obstructions where a LEO could hide. A radar detector by itself will not prevent you from getting a ticket. As we've said many times, it is only one component of a complete ticket protection system, albeit a very important one. simply pulling a budget bubble pack unit from the shelf and putting it on your dash isn't going to do the job. You need to learn how it works, learn how to work it, and operate both it and your vehicle using a common sense approach for every unique situation on the road. In other words, drive smart. Only then can your radar detector help you avoid a speeding ticket. 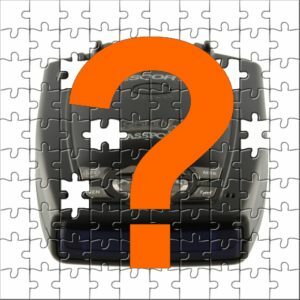 This entry was posted in Radar Detectors, Articles and tagged Radenso Pro M, Uniden R3, setting up a radar detector, mounting a radar detector on February 28, 2019 by Rick.